I’ve been aware of this album for some time now. It keeps popping up in some of the Facebook groups I frequent and yet I’d just never got around to listening to it so it seems a little late in the day to be reviewing this album, seeing as the band debuted with it in 2013. It was tempting to seek out other reviews of this album but I decided to just try and give you an untarnished view, unclouded by the reviews you may already have seen. It’ll be interesting to see whether there are any common points raised in other reviews but I’m holding back until this is published. So why has The Progressive Aspect left it so long? I believe that TPA review stuff on the basis that good music deserves your attention. This album fits that criteria. Also, there’s a new album in the pipeline from this band so, to me, there seems to be an incentive to have as many reviews for a band as there are albums, that way there’s a complete set of reviews that follow a band’s progress. In the Genre you all know as “Prog” there seems to be a trend for a single person to be the catalyst that causes a chemical reaction to occur and a band emerges. At serious risk of mixing my metaphors, Synaesthesia grew from a seed called Adam Warne perhaps as far back as 2009. They have grown into the band that produced this debut, eponymously titled album. Truth be told, though, this is very much the brainchild of Adam Warne. Not only has he penned all of the tracks, with the exception of the first track Time, Tension and Intervention for which he shares credits with guitarist Nikolas Aarland, he also sings, plays keyboards and drums. I can’t fault the musicianship and Adam has a distinctive voice. Mrs Phil says Adam’s voice reminds her of Doug Robb of Hoobastank. I wouldn’t know. Honest. What a debut this is! 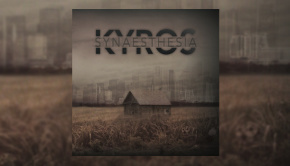 Only just over 2 minutes in to the album Synaesthesia have made a statement about what they are aiming for. At over 22-minutes long Time, Tension and Intervention has to be aiming at being a Prog epic. The musicianship on this album by all parties has already been properly showcased by the time the second track is in full swing and it continues throughout the album. This is a much more straight forward rock song than the first track. They are not afraid to mix up techniques. Sacrifice features intricate drumming and slap bass and elsewhere there are samples to add texture. Interestingly the showcasing seems less prevalent in the somewhat more restrained third track, Noumenon which is an anthemic instrumental, punctuated by samples to give it more layers. I was somewhat taken by the quirky sounds and feel of Technology Killed The Kids. There’s a great little sequence of notes that could have been lifted from any low-tech 1980s arcade game (a deliberate ploy, I suspect) and been given the best Prog rock treatment. This album is a great listen for anyone who is a fan of Prog. It cherry picks from many different influences and assembles them into new material. Whether or not the sleeve notes or the published information about the band members on the web site directly cite contemporary music, the technologies I’m hearing seem to be from every branch of music. I enjoyed the album. I look for a challenging listen when I first spin up a disk and although, for me, this was slightly lacking in that department it made up for it with generous portions of melody. It feels very much an assemblage of familiar styles and influences but all of them woven into an original tapestry of sounds mixed up with some new ones, giving it a youthful and fresh appeal. All bands develop their signature ‘thing’ with time. For example, Yes had their harmonies and Jon Anderson’s distinctive high tenor lead vocal plus Chris Squire’s inimitable Rickenbacker. 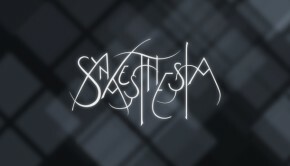 I’m not sensing any one aspect of the Synaesthesia that I thought would become an identifier at this early stage but that’s hardly a major problem…. Early Porcupine Tree had big sections hugely reminiscent of Pink Floyd and Steven Wilson is often accused of borrowing heavily from classic progressive rock. 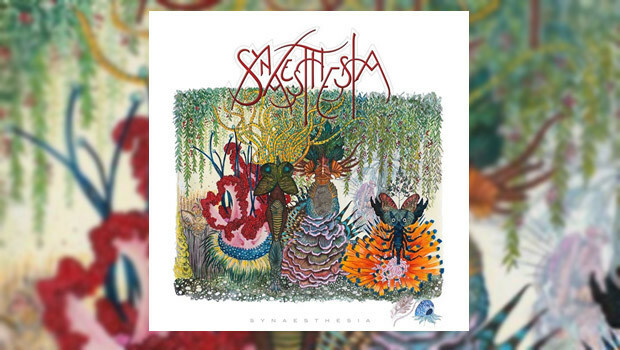 Synaesthesia demonstrate an ability to express different moods with their songs, not least with the last track, Life’s What You Make Of It (No, not a cover of the hit 80’s Talk Talk track. That “Of” is the crucial clue). As this writer is an old git who can vaguely remember being 20-something, the lyric seems strangely philosophical for such a young fellow. Adam’s vocal on this track seems to fit the music perfectly. Synaesthesia is not just a sole ego being supported by lesser mortals and I applaud Adam for this. Despite the obvious input of Adam Warne, as keyboard player, as drummer, as chief composer and instrumentalist, this album strikes a fantastic balance between the bass and guitars performed by Ollie Hannifan, Nikolas Aarland and Michael Holmes and the keyboard instruments. I’m not sure whether these are real drums or sequenced but either way it’s a detailed and articulate rhythm track that Adam should be proud of… there’s a lot of work gone in to those drums throughout the album. This is a coherent band that is a fully cooperative entity. To me it seems obvious that the musical output was by far the biggest driver in producing the finished product. This album is a wonderful achievement. When I was in a band at that age I could never have dreamed of producing such a quality product. The CD, its artwork, the production, the mix, this is an excellently packaged product. Adam is quite open on the sleeve notes about the fact that he wants a full time band. I’m confident that the band will start to find its own identity in the songwriting and lean less on its influences. I’m seriously hopeful that as they mature they are going to completely blow me away. I’m looking forward to hearing their next album because there is undeniable talent here.